New Hamas agreement includes transfer of Qatari funds, relaxed restrictions at border. New details about the Israel-Hamas agreement have been revealed to Arutz Sheva staff. 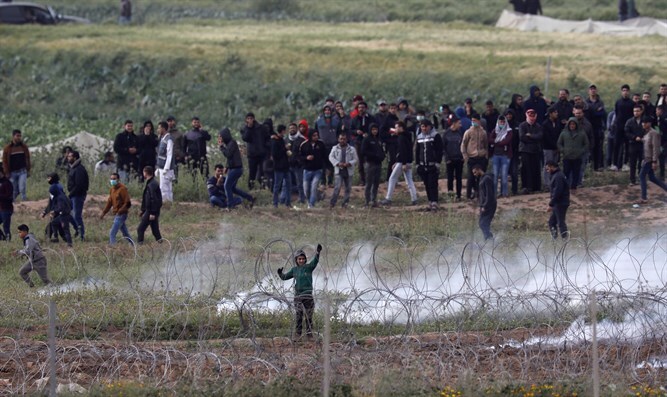 The agreement, brokered by Egypt, is intended to end the violent riots held weekly along the Gaza-Israel border and prevent rocket attacks against Israel. Israel, in return, will at first ease the restrictions on the fishing area and gradually open the Gaza crossings to allow additional goods through. It is expected that the agreement - which Deputy Hamas leader Saleh al-Arouri emphasized "is not a peace agreement" - will be signed during the coming days. Israel's Kerem Shalom and Erez crossings are the main routes in and out of Gaza. Though Israel and Egypt both share borders with Gaza, Egyptian authorities have kept the Rafah crossing virtually sealed since a terrorist attack in the Sinai Peninsula in October 2014, though they have temporarily reopened the crossing several times since that attack, mostly for the passage of humanitarian cases. Earlier this month, Egypt opened the crossing to allow Gazans to travel to Mecca for the first time since 2014.